The "futureLab" that LAPP is showcasing at HANNOVER MESSE 2019 is all about the future of connection technology, focusing on four key topics including predictive maintenance. 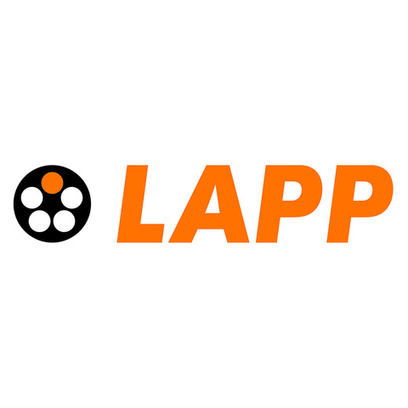 LAPP’s innovative solution in this complex field is just about to hit the market. Specially revamped for this year’s event, the "futureLab" offers visitors a sneak peek into the solutions currently in the pipeline at LAPP. "With the new 'futureLab', we aim to cement our position as a technology leader," says Guido Ege, Head of Technology and Development at LAPP, adding: "The four focal points of the 'futureLab' are at different stages of market maturity. Some are already available and ready for the market, while others are currently in the functional prototype phase." A key focus is predictive maintenance, which offers a promising solution for preventing costly outages. Looking into this area, the experts at LAPP are exploring how companies can monitor the condition of their data cables and showcasing an innovative solution that no longer requires any changes to be made to the cable. Instead, an electronic device constantly monitors the signals transmitted by the cable and analyses their quality. If this falls below a critical value, the device issues an early warning, allowing the cables to be replaced during scheduled maintenance works. The electronic components required can be built into devices such as switches, which should minimize additional costs. And if LAPP cables already happen to be in use, as the device is configured to their electrical properties, it can simply be retrofitted to existing plants and machinery.